With over 30 dealerships, Addison Motors Ltd, trading as Benfield Motor Group, was among the largest private motor retailing companies in the UK before the company’s acquisition by Lookers Group in 2015. Benfield Motor Group dealerships operated throughout the north of England and south of Scotland, offering customers a massive range of brands such as Audi, Volkswagen, Toyota and Ford. Today, the combined group of Lookers and Benfield has a portfolio that covers over 30 leading car marques across a staggering 153 dealerships. The acquisition of Benfield Motor Group certainly helped Lookers cement its position as one of the UK’s leading car dealers. Founded in Newcastle upon Tyne in 1957 by John Squires Senior, Benfield Motor Group was a family-run dealer that grew to play a huge role in motor retailing in the North East. In 2015, Benfield won the prestigious ‘Dealer Group of the Year’ award at the Motor Trader Industry Awards before being taken over by Lookers. 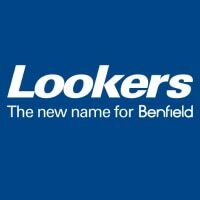 Interestingly, Benfield and Lookers share two remarkable things in common. The current Managing Director of Lookers, Nigel McMinn, was previously the Chief Executive of Benfield, and on top of that, Lookers won the same Motor Trader award as Benfield in 2016. Former Benfield dealers handled an impressive variety of marques that included Audi, Ford, Hyundai, Kia, Renault, Nissan and Honda, amongst others. The Benfield Motor Group sold new and used cars, also offering services, parts and bodyshop facilities for both. Under the Lookers Group, customers can expect to find a similarly impressive range of manufacturers – with Vauxhall and BMW represented too – and even more services across their branches. With over 10,000 new and second-hand cars for sale from a wide selection of brands, Lookers, the new name for Benfield, provides drivers with the same quality service. But now, they offer greater dealership coverage than ever before.